In 2009, a group of bus industry professionals achieved a long standing ambition to run a vintage bus service from Warminster in Wiltshire, to the abandoned village of Imber on the Salisbury Plain. 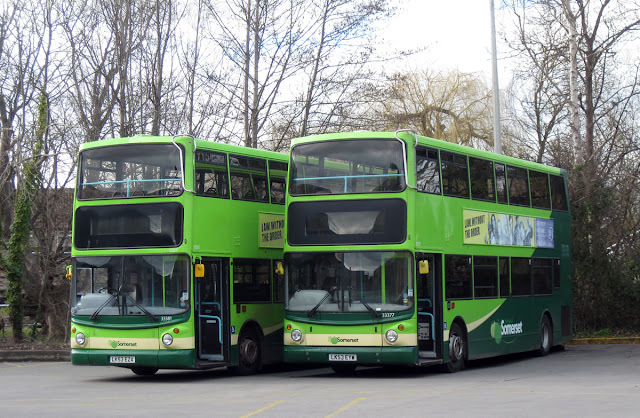 It proved to be so popular that it has now become an annual event, with most journeys continuing across Salisbury Plain to parts of Wiltshire rarely seen by public transport users. Each year the profits from operating the service are donated to The Friends of St Giles' Church, Imber, and to the Royal British Legion. few modern ones as well) to provide a bus service approximately every 30 minutes from Warminster Station to Imber. From there the buses will continue on to Gore Cross, then either proceed across the plain to Brazen Bottom and the Lavingtons, or turn right and carry on to Tilshead and Chitterne. There is also an hourly service from Gore Cross to New Zealand Farm Camp. possible to travel on our entire network in about 4 hours. Where can I go when I get to Imber ? Friends of St Giles who are volunteers. This is the only building open to the public in the village and is worth visiting (see www.imberchurch.org.uk for more information). As our buses run through Imber twice an hour, most of our passengers spend about 30 minutes to an hour at Imber, then board another Imberbus to view other parts of Salisbury Plain. • The Imber Range Perimeter Path (open all year round). constructed by the military for training purposes and are not original. Where will I be able to get something to eat or drink ? Light refreshments will be available inside Imber Church and at Chitterne Village Hall. Chitterne stops right outside the Rose & Crown at Tilshead and our buses pass near to other hostelries at Market Lavington, West Lavington and Chitterne which may be open for part of the day. toilets will be at Warminster Station and alongside Warminster Central Car Park). 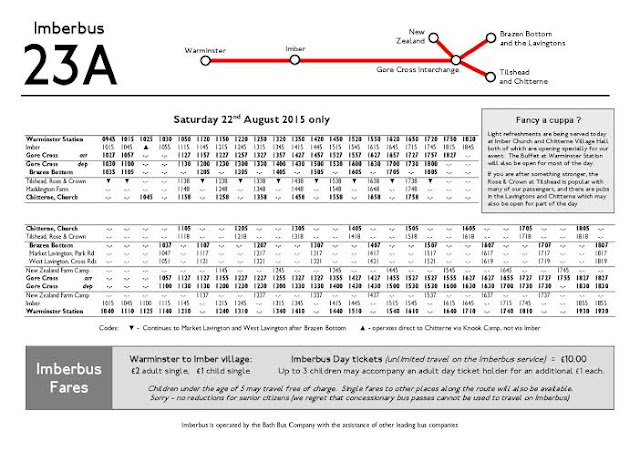 Bus & Coach Preservation magazine is telling everyone that the event is on Sunday 23rd rather than Saturday 22nd. Please ignore this - the event is definitely on the 22nd! 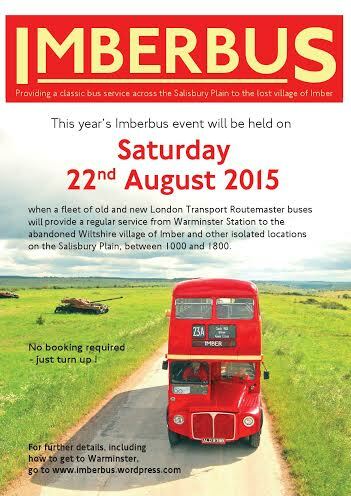 Visit the Imberbus website here for further information. In respect of the recent posting here, our West Country correspondent Phil G advises us that he thinks the “First” involvement in Somerset Passenger Solutions is with the “Buses of Somerset” division of First in the South West – surprisingly the West Country division (which covers Weston, Bristol & Bath) is not involved.